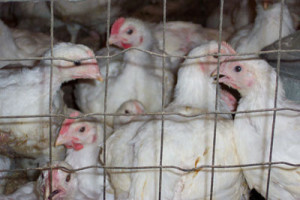 The Iowa Department of Agriculture reported just one new case of bird flu last week, and says all the infected birds at the turkey facilities have been destroyed, and all but one of the chicken facilities have had their birds euthanized. Deputy Ag Secretary Mike Naig told Radio Iowa recently that it will not be a quick process to put birds back at those sites. There are 76 infected sites in 18 counties, and the long it takes to get them back up and running, the more money they stand to lose. But Naig says there’s not a quick answer on a when the sites can be back in business. “That is unfortunately a big question mark for a lot of folks out there. How long will they be out of operation and how quickly can they get back in operation again,” he says. Naig says cleaning up the facilities takes more than a bucket of soapy water.”It can be quite complex — there’s a process that has to be gone through — dry cleaning and actually cleaning out and sweeping the cages out. And then a couple of other options that could be available, some spraying and disinfection and fumigation, those types of things,” according to Naig. There are more than 31-and-a-half million birds that had to be destroyed after becoming infected. The U.S.D.A. has more than 2,100 staff and contractors working on the avian influenza situation here. More than 300 state employees have also participated in the disaster response at some point.